A Nonfat Latte and a Fiction, please! Are you the one who is tired of hearing words like overweight, on the heavy side, plus sized and chubby? I didn’t use the word fat. No, I didn’t. I can never use this word. Are those buttery, flaky, nutty pastries on the shelf sabotaging your dietary plans? Are those fudgy double chocolate brownies screaming your name with all their seductive powers? Your mind says salad, salad, salad…all the time and you order a nonfat latte at Starbucks? You have tried all those fad diets till death with limited success. I know, I know you are waiting to showcase your emotional weight loss journey by comparing a photo of you wearing your old pair of jeans and a new slimmer You. Though there is no universal definition of beauty and to an extent, we are all influenced by a superficial notion of beauty and fitness propagated by Western Media. This idea is manufactured by celebrities with the help of makeup artists, plastic surgeons, designers, gym instructors, and photographers. The images of models with ethereal glow, shiny hair and perfect body on glossy magazines give us goals of beauty and perfection that are unattainable and often unhealthy. Well, this is a recognizable drama that every woman goes through at some point in her life. Don’t torment yourself with all this nuisance. Take a deep breath and smile a bit.Add some humor to your daily routine by reading these funny books on women and weight loss drama. Remember you are not alone. Many others face a similar predicament. If nothing else, few smiles will perk up your face and will save you some wrinkles! 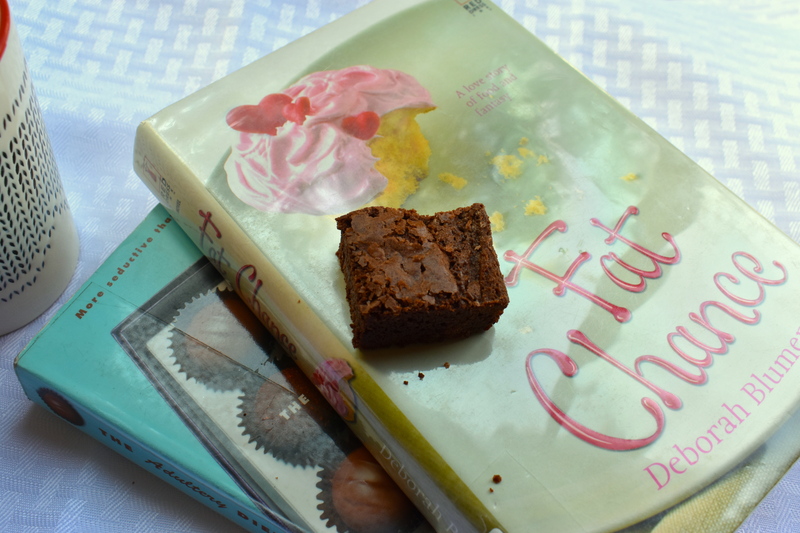 Fat Chance by Deborah Blumenthal is a humorous love story based on food and fancy. The story revolves around a plus-sized Maggie O Leary and her column on the downside of dieting. Her column is like a sounding board for oversized Americans. Her life changes when she receives a call from Hollywood. Read this deliciously guilt-free novel filled sprinkled with an amusing and witty scenario. The Adultery Diet by Eva Cassady explores the forty-year-old woman’s desires and fantasies. Eva Cassady (same name as author) writes for a home décor magazine and is ruled by her bathroom weighing scale. A chance virtual encounter with her old boyfriend sparks her secret dreams and passion. She goes on a diet and exercise binge and transforms herself into a young and desirable woman. Delve into her funny weight loss journey to see how her life changes. Dietland by Sarai Walker is about Plum Kettle, a writer for a trendy magazine for teenaged girls. Plum is apparently on the heavier side and is planning to go for a weight loss surgery to find her thinner self. A mysterious woman starts following her and Plum finds herself embroiled and entangled in a radical women’s group. This group fights against misogyny and oppressive practices against women. Read this emotional and funny saga on the gender equality and confused notions of feminism. Jemima J by Jane Green is about Jemina Jones, an overweight columnist for a local newspaper. She envies every slim woman and is always mocked for being overweight. She redefines and reinvents herself to look attractive and desirable to a guy based in image-conscious Santa Monica, a high-profile neighborhood in California. Enjoy this story to find out how media and society feed our insecurities regarding our physical appearances. So what are you waiting for, grab your nonfat latte and read on!